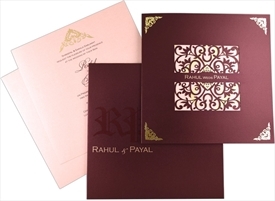 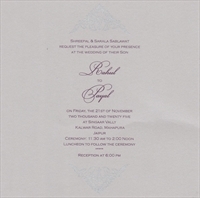 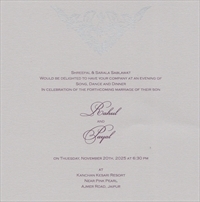 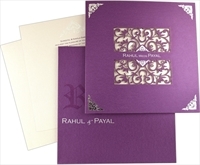 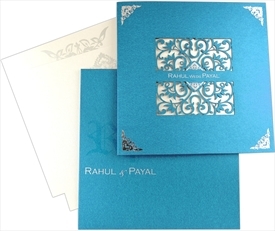 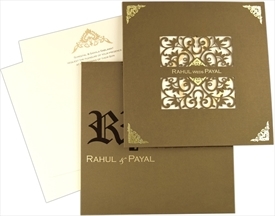 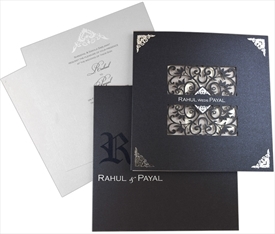 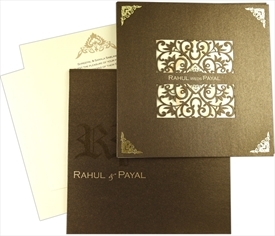 The main card is adorned with intricate floral laser cut designs with the name of couple. 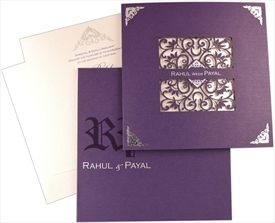 Silk screen silver motifs at the corners of the main card, are making it even more royal. 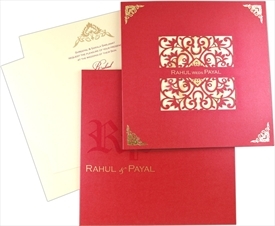 The elegant envelope has glossy watermark initials of couple’s name. 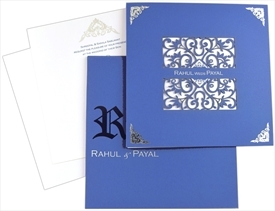 Beautiful motifs decorate the inserts. 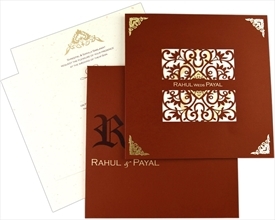 This wedding card sets up an ideal example of simplicity and classiness. 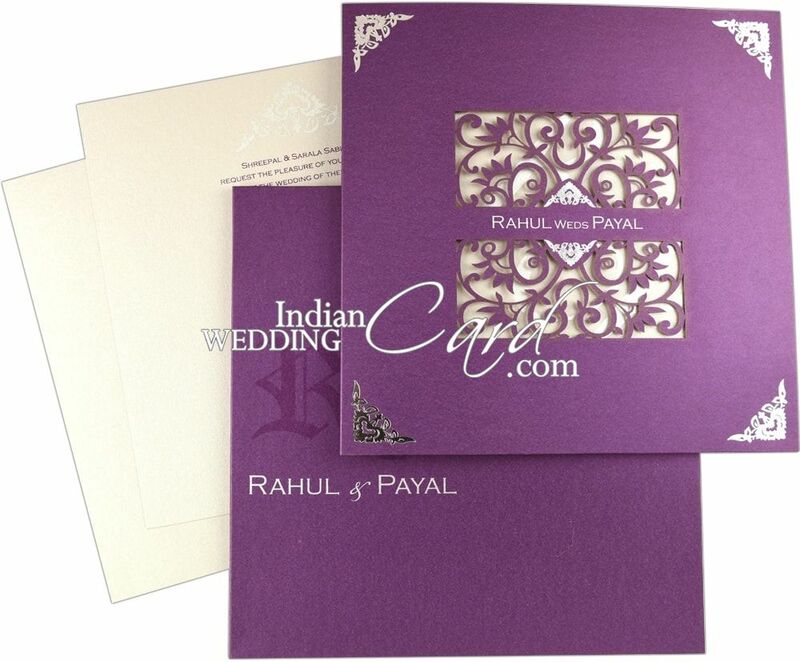 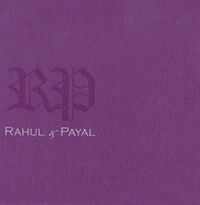 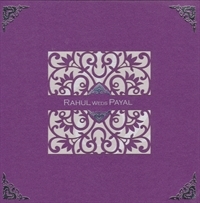 Purple shimmer paper for main card and pocket band (250 gsm). 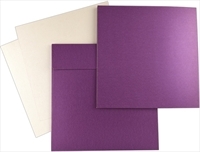 Silver shimmer paper (250 gsm) for inside interleaf, 2 inserts and mailing box envelope.